"Its not about how hard you want it......its about how hard you are willing to work for it"
Whether you are simply looking to improve your cycling skills, train for an event or improve your racing performance, Rule 5 is here to help you achieve your goals. 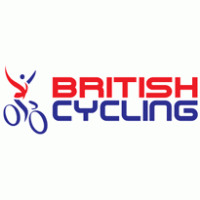 I am a Certified British Cycling Coach in Road, TT and MTB and also a Training Peaks acrredited coach too. I can help you overcome weak spots in your riding, regardless of experience or ability. If you’ve a nagging urge or desperate desire to achieve something in cycling, I can help no matter how big or how small.